A club wielding warrior prowling the premises; the occasional blood curdling scream of “Kubla!”; more kilts than you can shake a stick at. Have I been transported back to 13th century China (with a touch of Scotland)? Or maybe just back to DunDraCon? No, this is KublaCon! 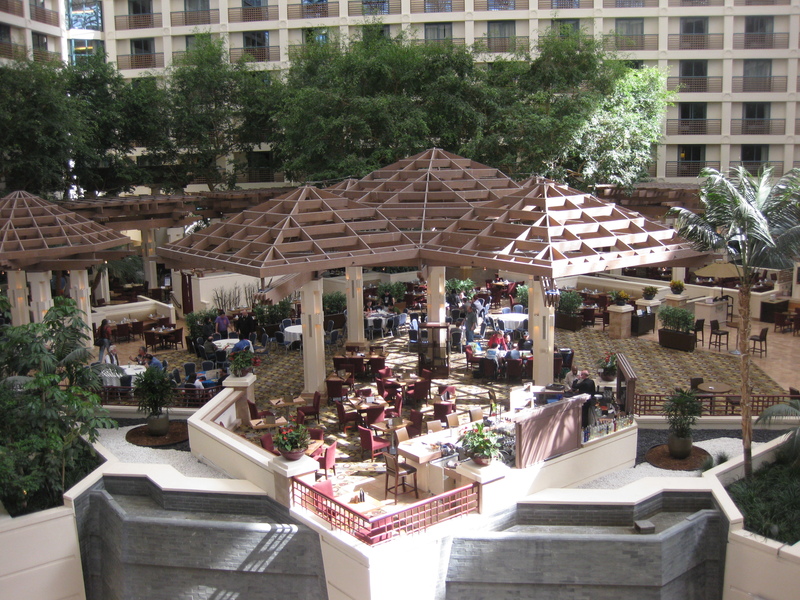 A view of the Atrium from my hotel room. It was so close to being outside, I didn’t even feel the need to leave the building all weekend! 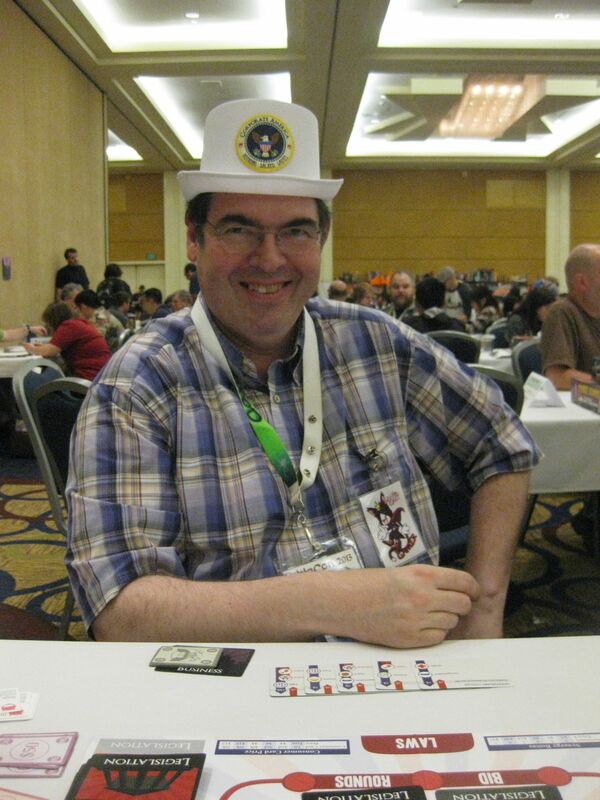 Ever since the Corporate America Kickstarter squeaked by, I’ve tried to step up my appearances at real, in person board game events. 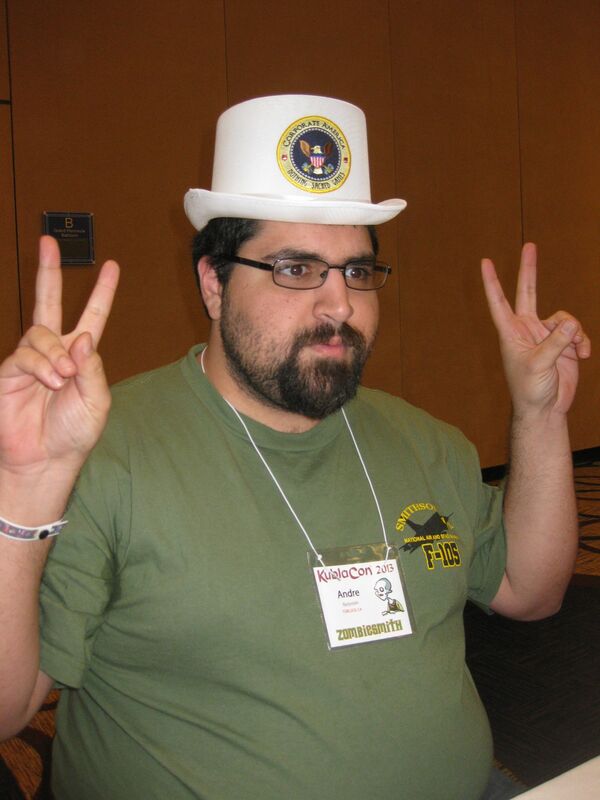 My first con was DunDraCon, and I also made an appearance at Different Games, but KublaCon has been on my radar for a long time. I’m happy to report that it was great! Today I wanted to share my experience with you. Let’s face it: my job is sweet. If I’m not playing games with other people, I’m usually making games. But it’s not quite that simple, and I’ve learned that promoting is as important as anything else I do. In that sense, going to conventions is both fun and work. At DunDraCon, I was promoting pretty much the whole time, but I was able to balance my schedule more successfully at KublaCon. I did share Corporate America with other convention goers (which went very well! ), but I only played 3 games over the course of the whole weekend. (At DunDraCon, I played 5 games a DAY!) This ended up working out quite well for me, giving me a chance to branch out a bit and not feel so much pressure. So what was I up to other than playing Corporate America? A bunch of stuff! I went to the convention with a room full of good friends, and spent quite a bit of time playing games and just hanging out with them. We played a couple of role playing games like Gamma World (a ridiculous sci-fi setting), and the Chaos in the Old World board game (which was delightfully nasty!). 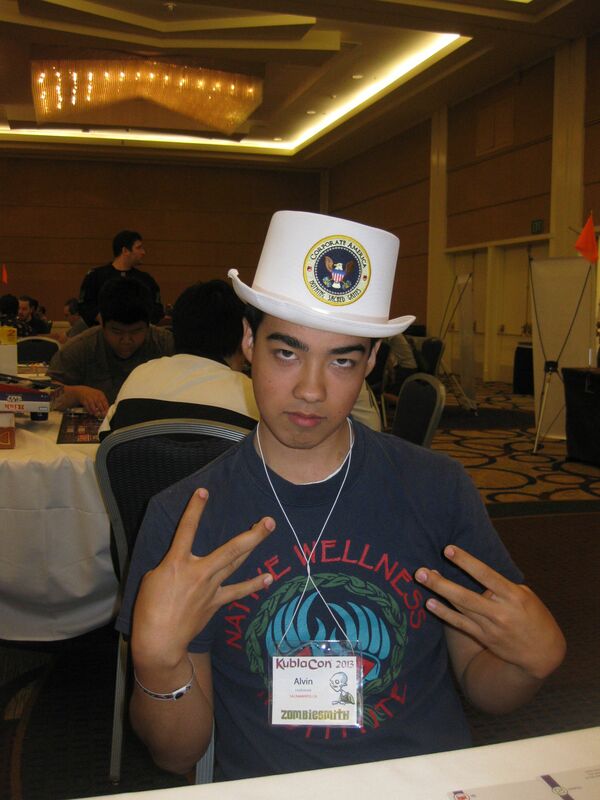 I also managed to take down a Magic tournament right after giving blood (not pictured). Jeff, a friend I met at DunDraCon. 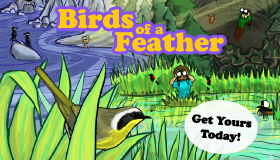 Despite eloquent speeches, he never snagged the hat–until this game! While I spent plenty of time not playing Corporate America, I didn’t totally neglect it! Though I failed to get an event in the official schedule, I ended up staking out a table in the open game area and managed to get a few people to play. KublaCon provided bright orange “I’m looking for players!” flags, which worked wonders attracting browsing players to promising games in the sea of tables, people, and cardboard. Andre enjoyed Corporate America so much he came back for another game! As you can see from the pictures of some of the proud presidents from the weekend, people had a great time! Sadly, the game still hasn’t arrived from China (it will be here very soon, I hope…), so I wasn’t able to sell any copies then and there. But I think I managed to get some new fans, so here’s hoping the preorders start rolling in! Alvin took the opportunity of becoming president to represent. Images from the Presidential Hat Tumblr. Though I didn’t manage to get an event in the schedule, I did remember to bring some prizes for the winners of the random games: patches! I still have quite a few left that I’ll continue to give out, but I’ll probably look into getting stickers with the presidential seal on them in the future. At Different Games, I had a request for them (since they’re perfect for laptops), and it seems like a great idea! I managed to promote Corporate America and spend some time not working at all, but I also managed to get some playtesting and game development in! A friend of mine, Dane, was kind enough to try Bubbles (see the list of games I’ve been working on), and his feedback was extremely helpful. I ended up making a few big improvements right then and there! We had more playtesters than game designers at the first public Blueprint Game Designer playtest session. Yay! 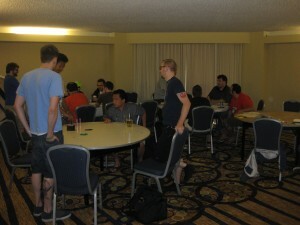 Another big event was the Blueprint Game Designer Playtest session! While Corporate America didn’t make the official schedule, my friend Raymond got our group of Bay Area game designers (including Enchanted Beard Press) a room of its own for playtesting. We were a bit nervous about the turnout, since the room was way up on the 7th floor, but a bunch of playtesters ended up joining us! And by that, I mean we had more playtesters than game designers. Not bad for our first public event! 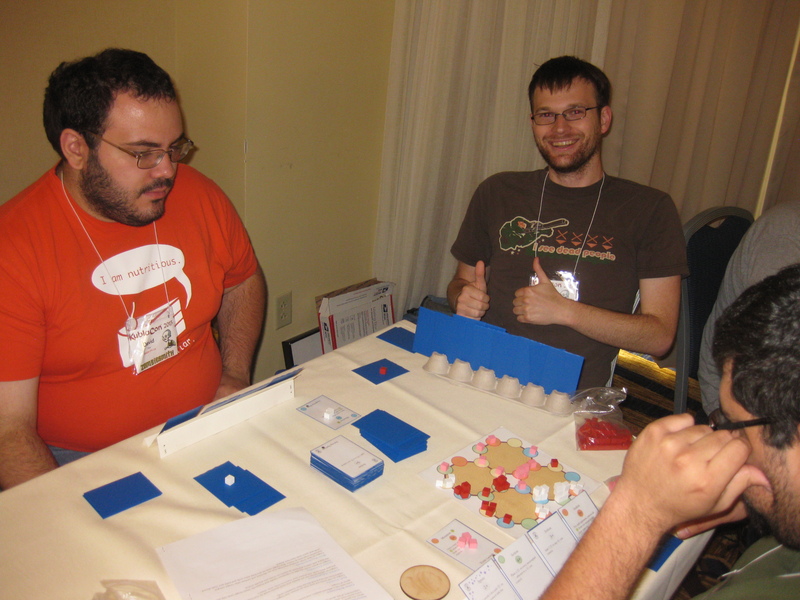 A couple of guys who played Corporate America earlier, Andre and Garth, brought one of their friends to playtest. They were kind enough to blind playtest Fungus for the first time! For those of you who don’t know, blind playtesting involves reading the rules and attempting to play without any intervention or help from the designer. It’s extremely important, since it’s how most people will play a game, but it can be a little painful to watch the struggle. It also tends to be significantly more work and less fun than getting help from the designer, especially when the rules lack handy helpers like diagrams. The first blind playtest of Fungus. See that egg carton card stand over there? That’s how you know it’s a real prototype! Thankfully, after a bumpy turn or two, the playtest went really well. Everyone figured out how the game works and even seemed to enjoy themselves! Thanks for the help guys! And that’s that. KublaCon was a blast, but all good things must come to an end, and I’m back to my daily routine (involving shipping hats around the world). But there are definitely more cons in my future! That said, I don’t know which will be the next one. GenCon is the monster of all American game conventions, but being in Indianapolis makes it pretty tough for a little indie like me to attend. CelestiCon is a little closer to home, but unfortunately I’ve discovered that cons love three day weekends, which other events (like weddings) tend to love as well. So we’ll see! Hey Teale, this is Dave, the mystery friend who playtested Fungus. 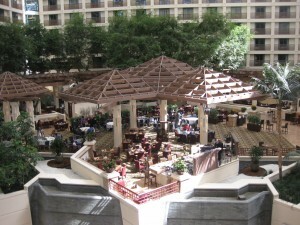 I just wanted to give you a shoutout for making KublaCon awesome for my friends and I! Even though I didn’t play it, Andre kept telling me Corporate America was his favorite game the entire con, and hopefully we’ll be playing it more in the future. I think Fungus was great and your rules were well written. And if you ever want to play more Gamma World or Chaos in the Old World, I do own both ;).